CAMBRIDGE, Mass. May 25, 2016 /PRNewswire/ — miniPCR™ announced the first successful DNA amplification on the International Space Station (ISS). Using a miniPCR thermal cycler, astronauts performed Polymerase Chain Reaction (PCR) on DNA samples on April 19th. Analysis performed today on Earth confirms that DNA amplification done in microgravity was successful, ushering in a new era in space exploration. The miniPCR thermal cycler is the latest addition to the growing genomics capabilities of the ISS. 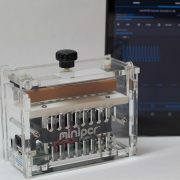 miniPCR has a small footprint, operates using minimal power requirements, and can process eight samples simultaneously. PCR technology can be applied in space to assess microbial growth, monitor living conditions, and protect crewmembers’ lives. “This finding will broaden the speed and scope of biological analyses available in microgravity. Deep space exploration would be unimaginable without DNA testing capabilities,” said Ezequiel (Zeke) Alvarez-Saavedra, Ph.D., Cofounder. 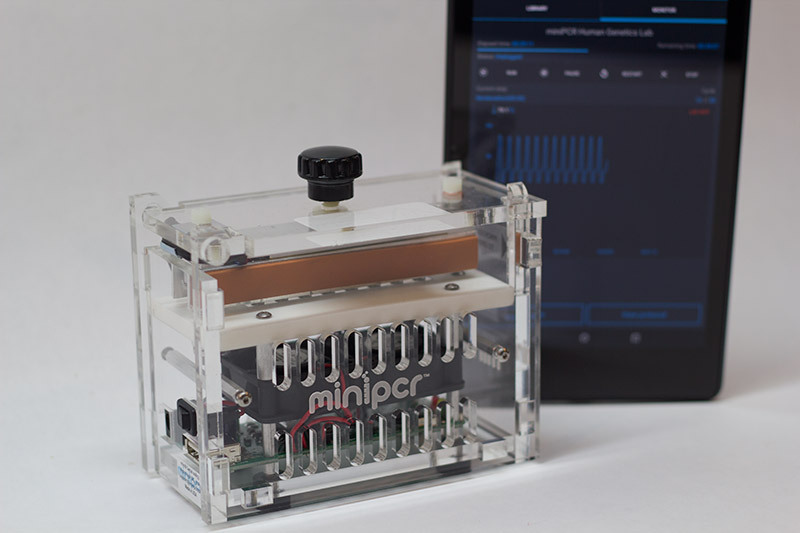 The space DNA samples were analyzed via gel electrophoresis, a process that separates DNA fragments by size, using miniPCR’s blueGel™ electrophoresis system.